What if we add Fantasy in Cricket? How to Select perfect 11 in Fantasy League? Are You Excited for Samsung Galaxy M Series? 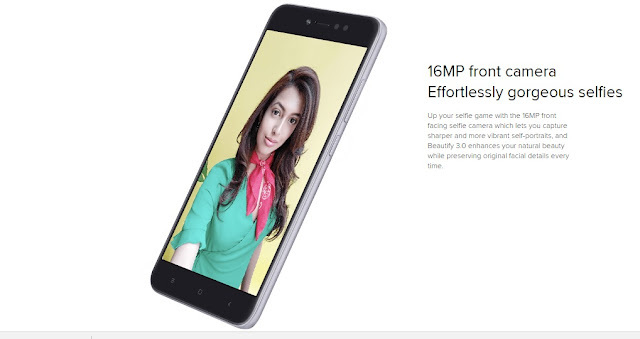 Xiaomi finally launched a new series (Y Seires) in India and highlight of this series in selfie camera. Redmi Y1 and Y1 lite are initial members joining this selfie series, which launched in an event held on 2nd November. As a surprise package price of this phone is really good as per the specifications. In most of the selfie centric phone we always need to compromise with hardware, but Mi selfie phones are providing you very good hardware at a good price point. Redmi Y1 is powered by QUALCOMM’s Snapdragon 435 octa-core processor, while Y1 Lite is powered by Snapdragon 425 quad-core processor. Redmi Y1 comes in different variants on the basis of RAM and storage. Here the Y1 Lite features 2 GB RAM and 16 GB storage, which is priced INR 6999. The next here is Y1 whose lower variant comes with 3 GB RAM and 32 GB internal storage priced INR 8999. Higher variant of Y1 features 4 GB RAM and 64 GB internal storage priced INR 10999. Phones are running on latest version of Xiaomi’s own custom UI, i.e. MIUI 9.0 along with Android 7.0 Nougat. These smartphones will become available via Amazon exclusively from 8th November. Xiaomi is planning to make these phones available via offline stores soon. Additional highlight of this phone is separate slot for SD card, i.e. if you want to put SD card then you don’t need to compromise with your second SIM. Design of the phone is also good. Both phones are backed by 3080 mAh battery. It also comes with IR blaster placed on top. As this is selfie centric phone, it comes with 16 MP front facing camera along with selfie flash. This front camera comes with beautify 3.0 feature. To click pictures of your moments it comes with a regular 13 MP camera at back with LED flash and PDAF. Redmi Y1 will become available in Gold and Dark Grey colors. It features a fingerprint scanner at back panel. It comes with 5.5 inch HD display with a resolution of 720×1280 pixels. This display comes with protection of corning gorilla glass, but the version of this glass in not specified.